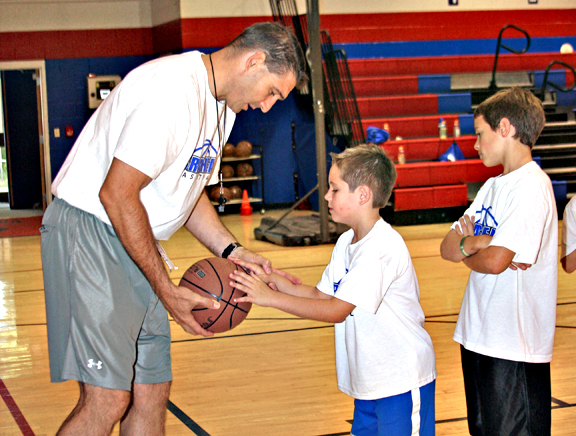 Team clinics are available for teams of any age and skill level. The focus is on individual improvement and fundamentals as they lead into the team concept. As the clinic progresses the team will be instructed through a variety of fundamental team drills encompassing all phases of the game. The drills are then taught to the team coaches and a printed manual detailing the drills and the teaching points will be given to the coaches to ensure carryover. Team clinics can be customized to fit the needs of any team from basic fundamentals and team concepts for younger teams to situational specifics for more advanced teams.